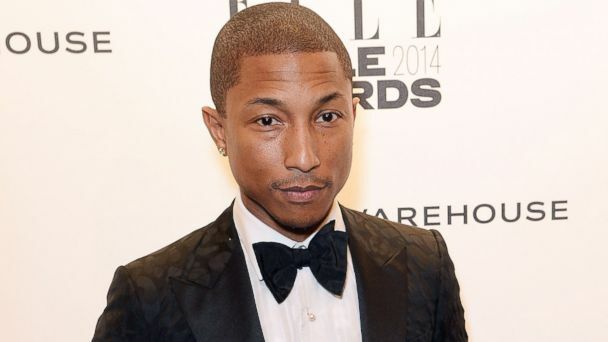 No, Pharrell Williams is not a vampire. As crazy as that sounds, the question of whether the multiple-Grammy winning artist is a vampire is actually a top Google search, as people have pondered how the 40-year-old seemingly doesn't age. Now William, himself, is setting the record straight. "No I am not," he told TimeOut magazine when asked point blank if he's a vampire. "I'm willing to go on record as saying that I don't drink people's blood." "How do I stay so young-looking for a 40-year-old?" he added. "I wash my face." Good thing too, since that face is everywhere these days. After producing hits for everyone from Britney Spears to Jay-Z and performing as one third of the rap trio NERD, Williams appeared on two of last year's biggest songs, Daft Punk's "Get Lucky" and Robin Thicke's "Blurred Lines." His own single, "Happy," from the "Despicable Me 2? soundtrack is topping the charts and nominated for an Oscar. "I've always produced music for artists who are going through this level of success, but I just didn't know it would be this crazy," Williams told TimeOut. "I'm like a kid with a sweet tooth waking up in Willy Wonka's chocolate factory." The self-proclaimed "fun guy" is currently injecting more fun into his soon-to-released solo album "G I R L"
"When we were working on it, I kept asking, 'Does this feel celebratory and festive?'" he said. As for that festive hat he debuted at the Grammys that now has its own meme and Twitter page, Williams said, "I'm a little bit of a hippy, you know? I do what feels right. I can't really take any cool points for it. At the moment, wearing this just feels right."